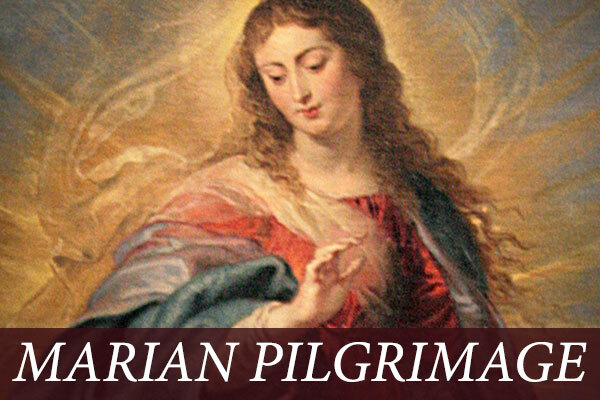 All are welcome to join Bishop Dennis Sullivan for our Diocesan Marian Pilgrimage on Saturday, October 13! 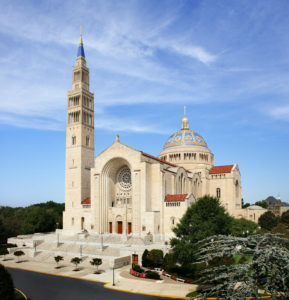 Every other year, Catholics throughout the Diocese of Camden journey to the Basilica of the National Shrine of the Immaculate Conception in Washington, D.C. This year, pilgrims will be able to view the magnificent Trinity Dome Mosaic, which was only recently completed and blessed. 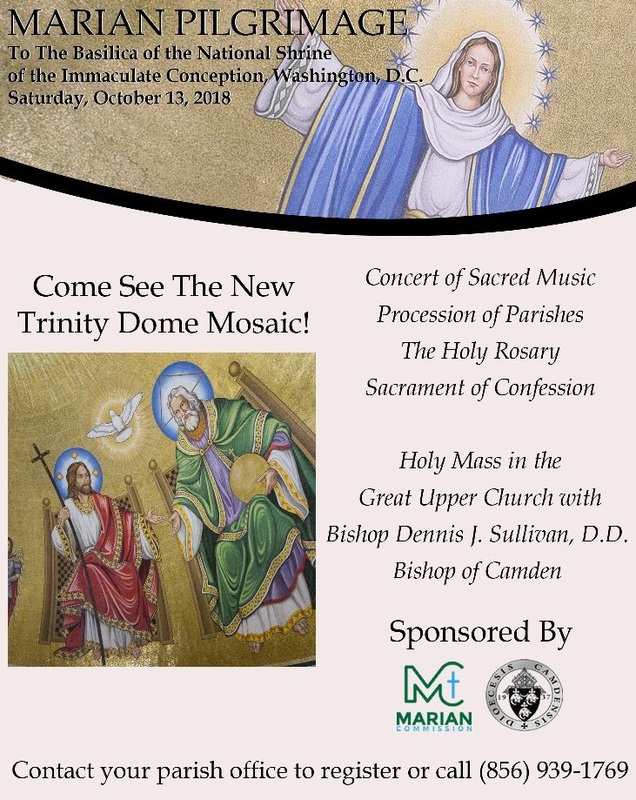 Pilgrims will enjoy a concert of Sacred Music, have the opportunity to go to Confession, and attend Mass celebrated by Bishop Sullivan in the Great Upper Church of the Basilica. Also Catholics from throughout our diocese will participate in the Procession of Parishes, and join in praying the Holy Rosary together, as we honor the Blessed Virgin Mary and entrust our Special Intentions to her. Contact your Parish Office or 856-939-1769 for transportation info and to register.